Even though it is now well and truly winter (Luke has got his thermal long johns out), we’ve decided to create something zingy to remind us of warmer times! The Tomato Stall sent us these sweet tasting red and yellow tomatoes, which we’ve combined with nutritious roasted sweet potatoes and the tanginess of lime to transport you all the way to the Mexican Riviera! Pre-heat your oven to 200 degrees. Chop the tomatoes in half and roughly chop the coriander. 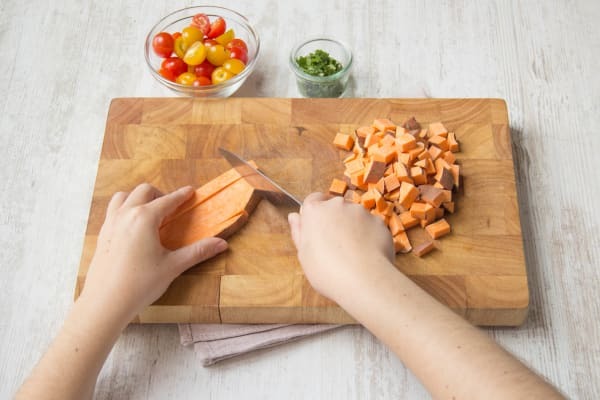 Chop the sweet potato into 2cm cubes (don’t peel the nutritious skin). Peel and chop the red onion into around 2cm chunks. 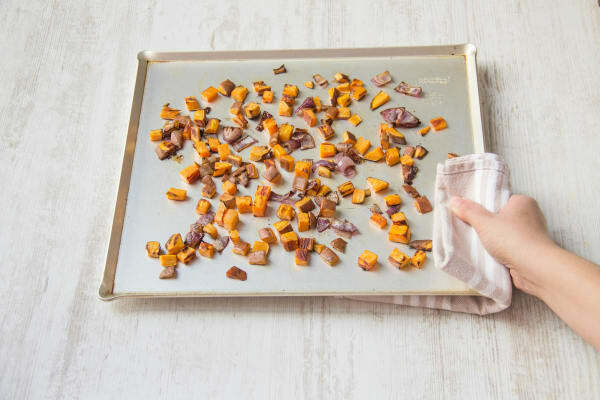 Toss the sweet potato and onion in 1 tbsp of olive oil and a good pinch of salt and pepper. Place on a baking tray in a single layer and cook on the top shelf of the oven for 20 mins. Tip: Everything is ready once it’s nice and crispy at the edges. 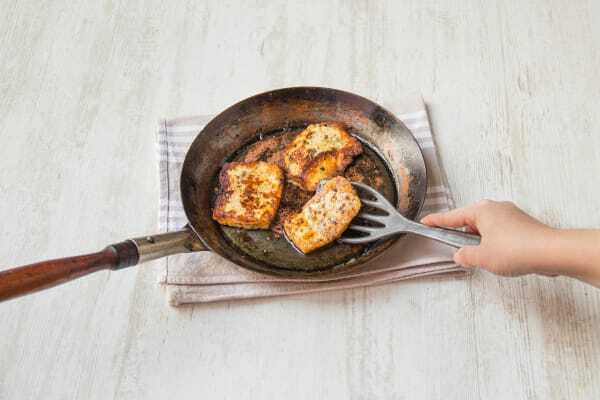 Slice the halloumi into roughly ½cm slices. 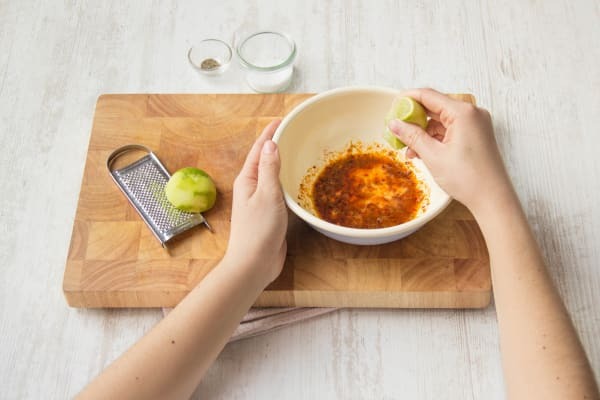 Mix the Mexican spice with the zest of half the lime and 2 tsp of olive oil. Roll the lime firmly between your hand and the work surface to loosen it up. Cut it in half and squeeze 1 tsp of juice into the mixture along with a pinch of salt and pepper. Rub the mixture over the halloumi slices. Heat a non-stick frying pan on medium heat with 2 tsp of olive oil. Cook the halloumi for a couple of mins on each side until just golden. Tip: Don’t overcook them as they will become brittle and lose their wonderful texture. 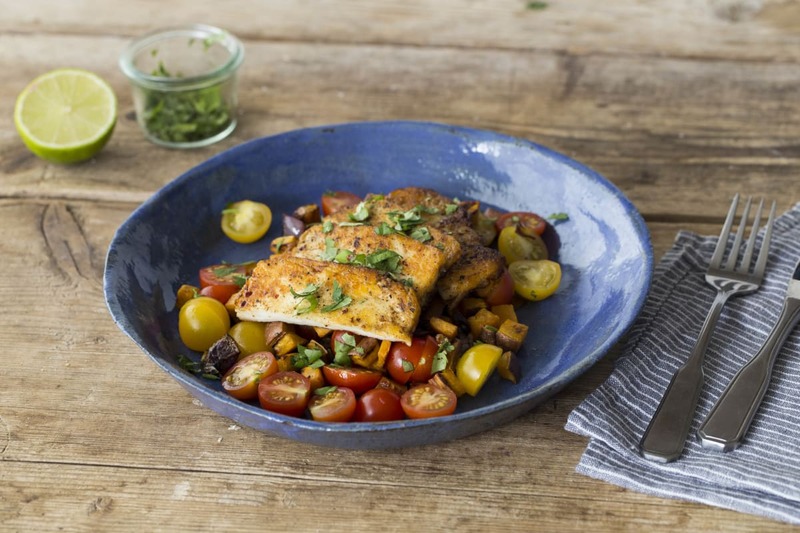 In a bowl toss the tomatoes with ½ tsp of lime juice. Add in the coriander, roasted sweet potatoes and onion. Plate up with the halloumi slices on top.